not feasible. 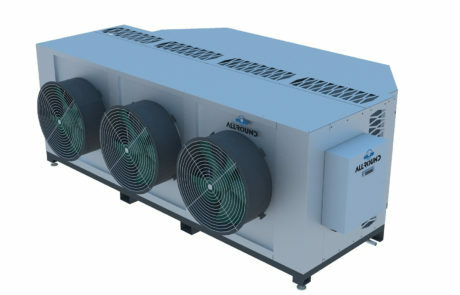 For this Allround Storage provides the Turn Key Chiller system. These units can be easily installed and integrated in an existing system. Only first class components like Bitzer compressors and Danfoss applications are used. 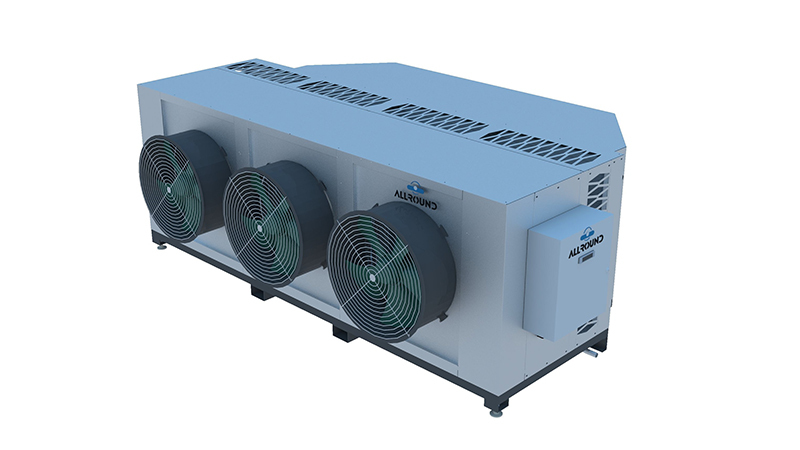 Only cooling gasses are used with the lowest GWP values. 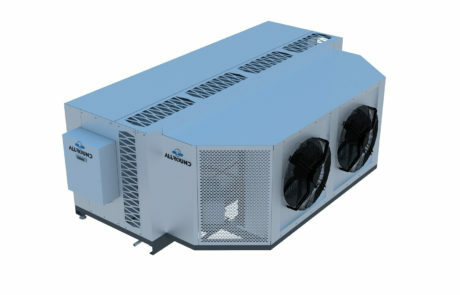 The Turn Key Chiller Cooler is a system with two parts. 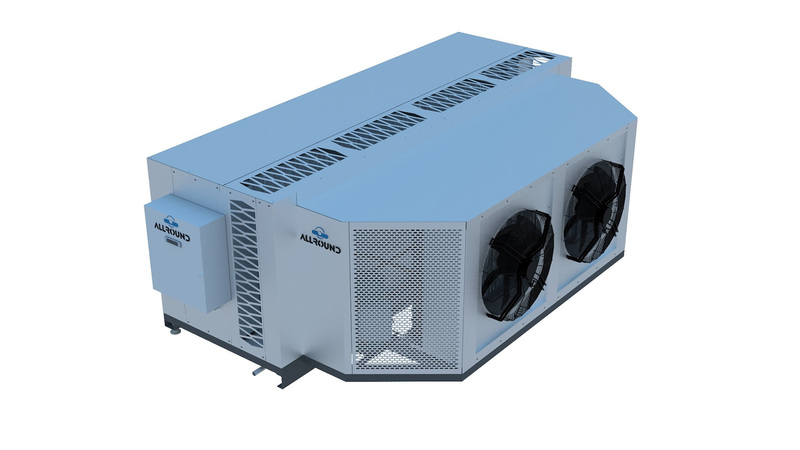 One part, the turnkey chiller unit is a compact machine with inbuilt compressor / condenser unit, including heat exchanger and pump for the second water based circuit. The chiller unit will be placed outside. The second part, the air coolers are inside the rooms. The air cooler circuit is water based; glycol or temper can be added in case of very low temperatures. 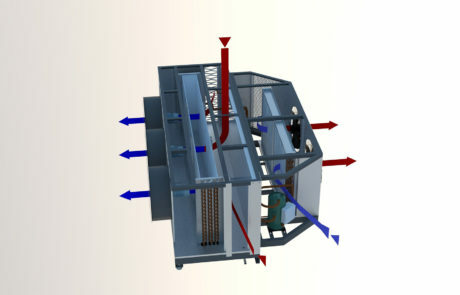 All mechanical cooling components are in the first circuit only, in the chiller outside, in a very compact way. 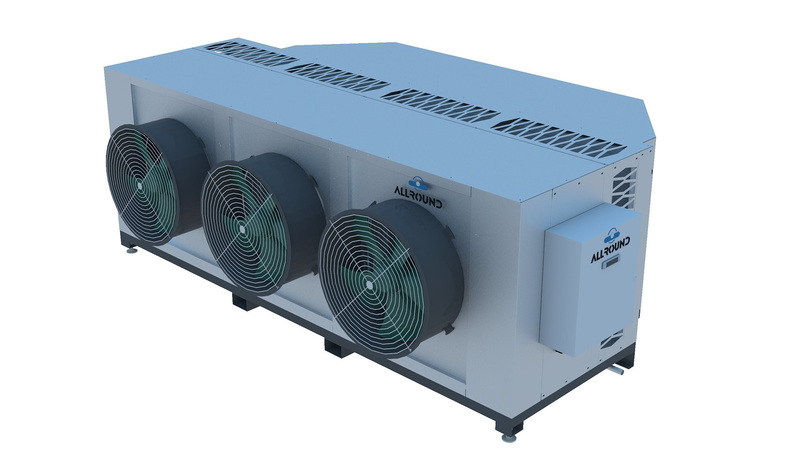 A minimum of cooling gas can be used; the combination of a minimum amount of cooling gas and a low GWP value will give the best environmental friendly footprint. No tubes with refrigerant in the food storage sections. 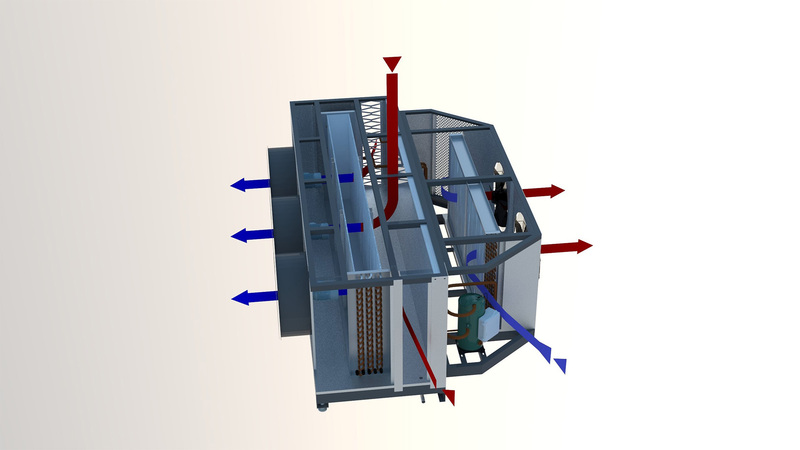 Because of water based evaporators, the temperature difference in the evaporator can be adjusted perfectly according the use. With a very low temperature difference dehydration of the product will be prevented, with a high temperature difference the same system can be used for products what will need low relative humidity.